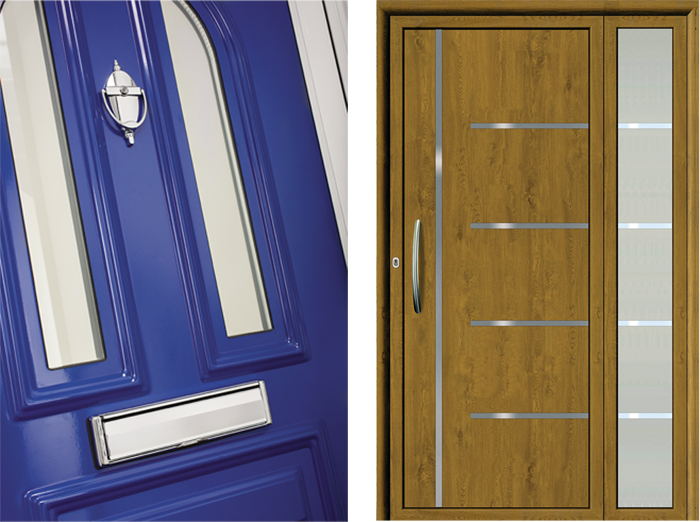 Origin Residential Doors can be crafted to capture the exact impression you wish to make. Choose from a veritable rainbow of colours – over 150 shades, to be precise. Select from muted hues to soothing pastels and bold primary colours. Of course, metallic shades are also available, as are nature-inspired woodgrain effects. Little lies beyond your imagination. If the perfect fit demands it, you can specify the outer frame, sash and panel are individually coloured. Why not opt for a dual colour option, taking two shades – one to complement the outside of your abode and another for the inside? For the ultimate cherry on top, why not choose a finish in a matte, satin or gloss style. 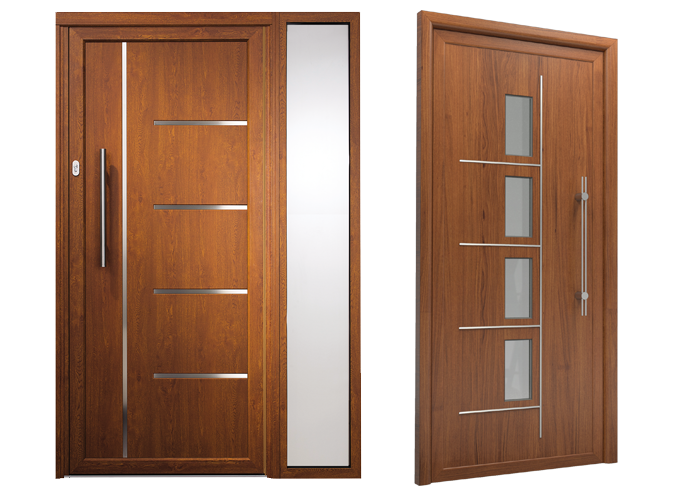 With an astonishing array of panels available, you can furnish your door with the perfect details. Timeless Georgian or Victorian styles add genuine panache. Contemporary glass panels to let the light in, or ultramodern aluminium panels to make a statement. Configurable to any aperture, from a narrow 400mm to a wide 1130mm, there’s no reason your home should miss out. If only a French door will do, then that’s what you deserve. Equipped with an ultra-effective polyamide break, heat transfer from the inside to the outside is restricted. With panels boasting aluminium layering and an insulating Therminax core, you can rest happily in guaranteed warmth and comfort. Sophisticated seals keep your door weather-tight, leading to lighter energy bills – an exquisite silver lining. For extra protection against the elements, opt for a weathered threshold. Alternatively, a non-weathered threshold can be installed for a level floored finish, optionally adaptable for wheelchair access. 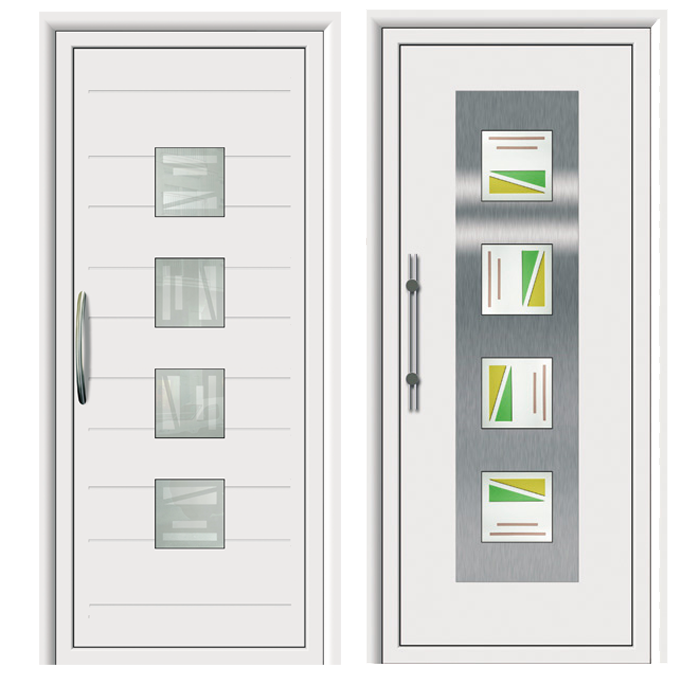 Residential Doors are manufactured with high-grade aluminium, of almost steel-like strength at half the weight. Finished with a special powder coating, these doors are scratch-resistant, near impervious to contaminants and their colours are defiant to fading. 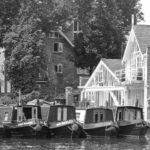 Unlike timber or uPVC equivalents, aluminium is supremely resilient against the warping, flexing or corrosion caused by weather exposure. Further secure your private paradise with your choice of multipoint locking system. 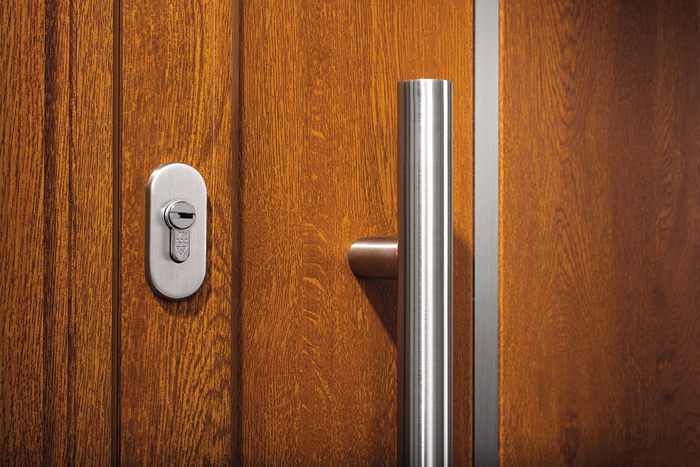 Choose a standard 5-point automatic lock or the high security 8-point multi-locking system with Yale lever handles and coded magnetic keys. In either case, your door is proven to protect against every kind of tampering. Even the smallest things, right down to the hinges, are designed with safety standards in mind. Specially crafted to withstand attack, even the most determined intruder will think again. Aesthetics are never left by the wayside – opt for stainless steel hinges, or colour co-ordinate to fit your particular style.